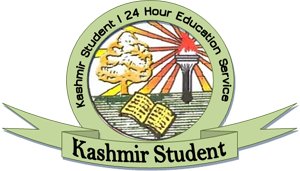 The University of Kashmir will now have two admission sessions in a year, the varsity authorities have decided in order to stabilize the academic session and accommodate more students in postgraduate courses. An official said the vice-chancellor convened a meeting to discuss the academic session which has been “destabilized” over the years. 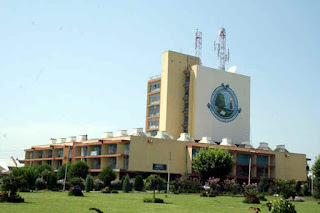 “The admission session for post-graduation courses used to start in March but from last few years it got shifted to September which caused inconvenience to the students,” an official at KU said. He said the March admission sessions will prove fruitful for a major chunk of students who were dropped last year or had to appear in back-log under-graduate exams and couldn’t appear in the PG entrance test conducted by the varsity. “We have a huge chunk of students who were put to disadvantages last year as the PG entrance was held in September. KU couldn’t accommodate all the students and they were not in position to avail admission in outside state universities where admission process starts in June,” said Nisar Ahmad Mir, the newly appointed registrar of the university. Already, KU authorities have decided to combine the two (5th and 6th) semester exams to keep the semester scheme rolling in the colleges affiliated with it. The decision was taken last year and the joint examination for the 5th and 6th semester students in colleges will tentatively start from first week of August. The exams shall be conducted on alternative days to keep at least one day of preparation for the students for each paper. “After holding one PG entrance in March we will conduct another PG entrance in September for the outgoing students in colleges whose 5th and 6th semester exams will be held in August this year,” Mir said. The registrar said KU was ready to take this burden for one year for the convenience of students. “This year the exam system in colleges will be streamlined and we are hopeful that by 2020 the admission session in KU will be stabilized and will be shifted back to March,” the registrar said. Mir added the varsity will also take the examination block and the teaching faculty on board to accommodate two batches of students in a year. “The Vice Chancellor is keen to stabilise the admission session and academic scenario in the varsity so that students are not put to any sort of inconveniences,” he said. The admission session in KU was deferred from March to September during past few years owing to the failure of authorities to streamline the semester exams in colleges, a system that introduced for under-graduate courses in 2015 under the University Grants Commission (UGC) guidelines. But the semester system extended the tenure of undergraduate degrees from three years to four or five years owing to the failure of authorities to hold exams on time which in turn delayed the PG entrance test in KU. “Now from this year we are hopeful that the admission session in KU will get stabilised without any delay in completion of degrees,” Mir, the registrar said.